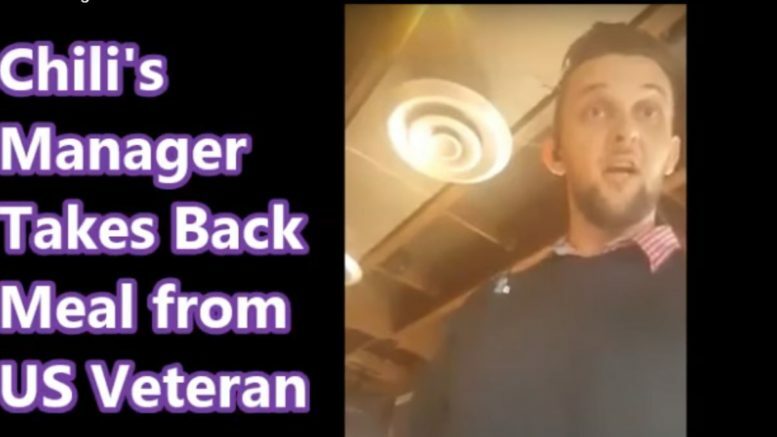 A Soldier with his service dog, Barack, got a free Veterans Day Chili’s meal confiscated after by the Manage in Dallas, Texas. 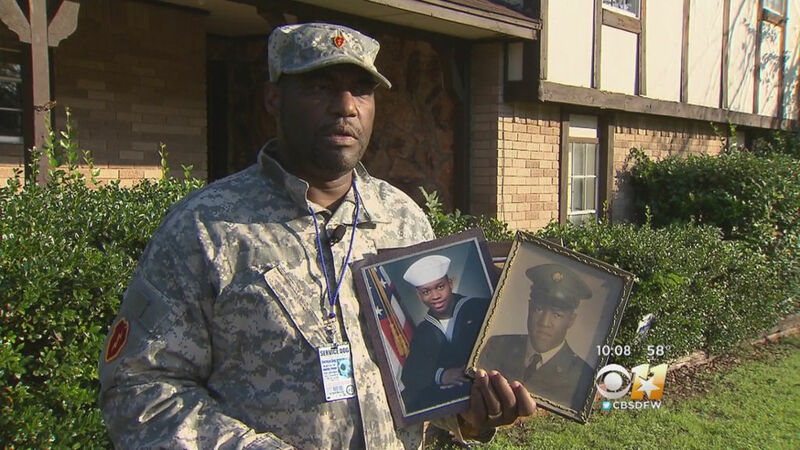 Ernest Walker, who served in the 25th Infantry Division in the US Army, said he was eating a free meal given out by Chili’s on Veterans Day. The manager identified as Wesley Patrick, is seen on the video questioning the man’s service dog an taking back the meal givin to US Veteran Ernest Walker.